From Rugby League players trying to improve their game, to Hollywood superstars and the depressed sons of media moguls, Scientology has recruited its share of famous Australians. Less known is that Australia was the first place to ban Scientology, or that Scientology spies helped expose the Chelmsford Deep Sleep Scandal. Numerous Australians have held senior posts in the organisation, only to fall foul of the top brass and lose their families as a result. Commodore's Messenger begins by taking the listener into the life of the first family of Scientology in Australia: Yvonne and Peter Gillham and their three children, Peter Jr., Terri, and Janis. Life for the Gillhams is not without its challenges in Australia, but nothing compares to what happens when the family moves to England after dealing with the banning of Scientology in Victoria. Things spiral out of control, as Hubbard leaves England and takes to the sea. A clear-sighted revelation, a deep penetration into the world of Scientology by the Pulitzer Prize-winning author of the The Looming Tower, the now-classic study of al-Qaeda’s 9/11 attack. 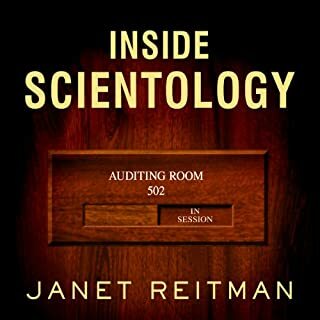 Based on more than 200 personal interviews with both current and former Scientologists - both famous and less well known - and years of archival research, Lawrence Wright uses his extraordinary investigative ability to uncover for us the inner workings of the Church of Scientology. Former insider Chris Shelton grew up in Scientology and worked for it for 25 years. 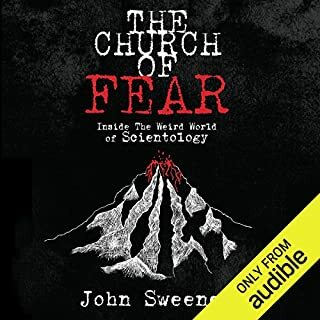 This critical analysis covers the key aspects of its beliefs, practices, and structure from the bottom to the top, including not just the confidential Xenu story but details of all of the upper-level scriptures. Chris goes into detail about what goes on inside Scientology churches, why its members get involved in the first place, and what it takes to get out should someone decide to leave. In Flunk. Start., Sands Hall chronicles her slow yet willing absorption into the Church of Scientology. 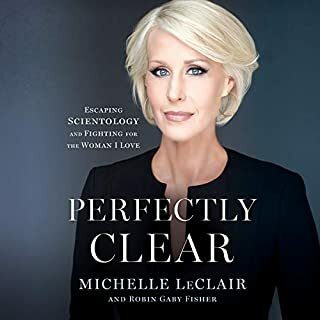 Her time in the Church, the 1980s, includes the secretive illness and death of its founder, L. Ron Hubbard, and the ascension of David Miscavige. Hall compellingly reveals what drew her into the religion - what she found intriguing and useful - and how she came to confront its darker sides. A former top insider reveals the nightmare world of violence and abuse at the highest levels of the Church of Scientology. One review states: "At home alone, a 14 year old girl takes a phone call from Scientology. This starts a quarter of a century journey of manipulation, betrayal and sexual, physical and mental abuse. This journey leads to the highest management echelon and one woman's courage to break free. A real page-turner." 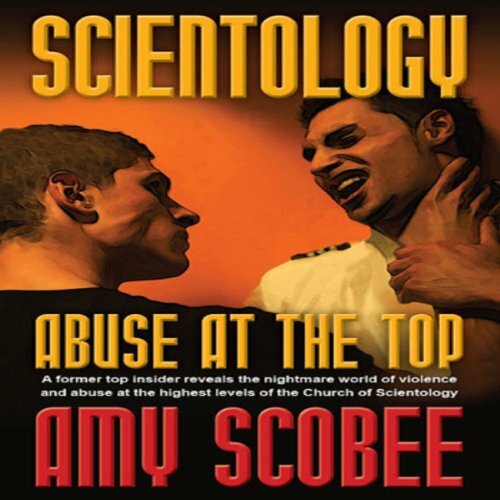 - Mark P. Another writes: "Amy Scobee has written a book unlike any other expose of Scientology. She actually was at the top of International Management for 20 years, and oversaw the recruitment of Hollywood stars into the Church of Scientology. She witnessed the abuse of top managers by their senior, David Miscavige. She writes convincingly of the human rights violations she endured while on the Rehabilitation Project Force, a thinly disguised slave labor camp. Her book is enjoyable to insiders and laymen alike, with a glossary of terms provided, and plentiful footnotes. This is an important contribution to understanding the controversy surrounding the Church of Scientology. The glaring spotlight eventually points to Abuse at the Top." 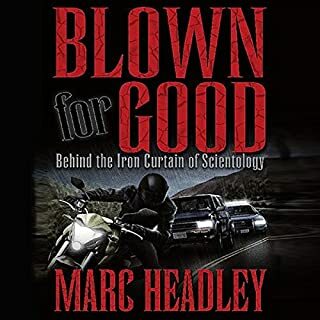 - Michael H.
Would you consider the audio edition of Scientology: Abuse at the Top to be better than the print version? I haven't read the print version. Although I'm not sure that this book differs much from the written text. The book is told in 1st person so you follow her experiences. What three words best describe Danielle Plaso’s voice? I follow the LRH legend like some people follow "Dexter" (and I follow him for the same reasons). 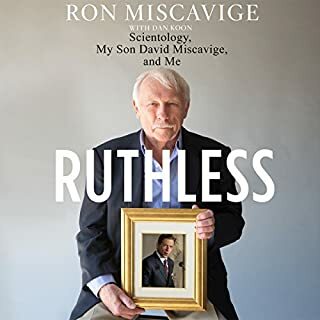 This, like the Jenna Miscavige book follows a specific slice of time describing experiences of the author. If you want a fantastic overview look for Going Clear: Scientology, Hollywood, and the Prison of Belief. But if, like me, you want to drill down into experiences in the SO check out this one and Jenna's book. The reader seems to have some difficulty with reading the text...maybe it's just under rehearsed. But lots of amateur emphasis, rhythm and pronunciation inconsistency. Although I appreciate the inside information and the details of the struggles Amy Scobee went through and I really did want to enjoy this book, I could not get past the narrator. She actually mispronounced 'corps' as 'corpse'! She butchered the English language repeatedly and her phrasing was off by a mile. She also made everything sarcastic - I mean everything. It became very hard to listen to since I started to listen for mistakes instead of getting lost in the book. Yes, but I'd urge them to wear a mouth-guard because teeth gnashing over the narration is inevitable. Would you be willing to try another book from Amy Scobee? Why or why not? Who would you have cast as narrator instead of Danielle Plaso? Anyone who knows the word is SUPPOSEDLY, with a D, not "supposaBly." What is humorous is that the first time she says "supposably" is just after someone accuses the protagonist of being illiterate. It's the narrator's literacy skills I question. I can't believe no one else caught this and the audio book went on sale like this. The book was a fine "inside story". The writing however was hard to read- not because it was difficult but because it was so simple, full of sarcastic comments and name-calling. It was frustrating because the antics took away from the compelling story of the abuse at the hands of Scientology. Anyone who can read a sentance without having to sound out each syllable. The story itself was very interesting and eye opening but I will NEVER buy a book narrated by Danielle Plaso ever again. She mispronounced easy words and put unusual emphasis on certain other words. At first I thought it was her accent but no... This narrator just doesn't know how to speak. I know that these readings have a producer so I blame a series of checks and balances for these mistakes. Audible and this author would do better if they availed themselves of another narrator. the narrater is awful! skip it! What disappointed you about Scientology: Abuse at the Top? Would you ever listen to anything by Amy Scobee again? PLEASE see if it can be reissued with a different narrator? The reader is annoying to the point of major distraction. I am normally accepting of the occasional error, but this is too much to ignore. I have heard Scobee speak, and this reader does her work and her story a disservice. Words are frequently mispronounced. Additionally, the reader often makes emphases that skew the meaning of a passage or are in the tone of a sarcastic and immature narrator. I hold Audible responsible for making sure that the quality of the reading is high in the books it sells. After all, that is the reason for buying from Audible. Hire someone else to read the book. Scobee would likely be the best choice. Absolutely not until she is carefully trained and supervised. Scobee's story, like those of many other documented accounts, makes me disgusted that such an organization gets away with human rights abuses and is able to get the rest of us to subsidize their money-making schemes by allowing them tax-exempt status. Read the book don't listen! The narrator did a terrible disservice to the Author and her book. I can't believe that someone didn't catch how awful the narration was and get it under control. Scientology has so many groups CMO, WDC, etc. and for me personally it would have made much more sense if I could have had a book to physically look at and a list by me all the time of what all of those acronyms were short for. Buy the book or borrow from the library trust me! Do something about this abuse!!! So sad, same story. Horrible! More abusers and cover ups! BRILLIANT BOOK - Narration on the poor side. 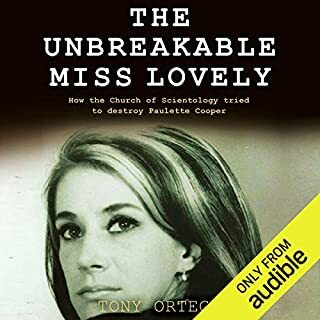 I agree the narration of this book is weak but do not let that put you off as is one of the best books I have read on Scientology, as she was at the very top of the organisation & takes you behind the closed doors so many never get to see. The gritty details & the insanity that goes on in secret will keep you spell bound.